Step back in time for a day of revels at the Medieval Fair. Enjoy mirth and merriment with kings, queens, knights and fools as the kingdom comes alive. The three-day event begins each day at 10 a.m. at Reaves Park. Held annually since 1977, this living history fair features educational exhibits, arts, crafts, food, games, demonstrations and ongoing entertainment at seven stages. Entertainment for the whole family includes minstrels, dancing, theater and reenactments, jugglers, knights jousting on horseback and human chess games. Brightly costumed characters include King Arthur, mermaids, and the fair's royal court of King Edward III. Browse through the medieval village of over 200 art and craft booths offering unique and handcrafted wares. Offerings include pottery, wood crafts, stained glass, armor, costumes, fairy wings, jewelry, leather crafts, hair garlands, and much more. Watch master crafters demonstrating their skills. 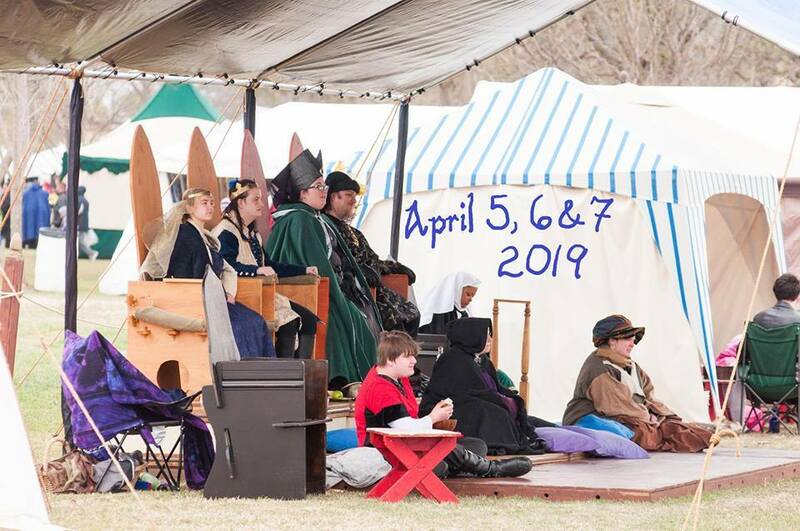 The Medieval Fair of Norman is the state's largest weekend event and the third largest event in Oklahoma, and was selected by Events Media Network as one of the top 100 events in the nation. It is made possible, in part, by the Norman Arts Council Hotel Tax Grant Program and the City of Norman.